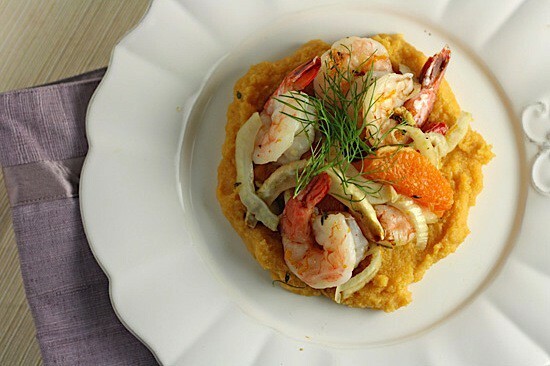 Roasted Shrimp with Orange and Fennel over Polenta | Healthy. Delicious. Every once in a while, I see orange and fennel salad in a magazine on a menu, or I hear people talking about it. I always thing it sounds fabulous, but I ever know what to serve it with. Plus, if you haven’t noticed already, I don’t prefer meals that contain multiple courses. Especially on weeknights when I don’t have a ton of time to get dinner on the table — it’s just easier to make one dish than it is to fiddle with a bunch of different components. Although I’ve never made the orange and fennel salad, the flavor profile always intrigued me and it’s something tat I think about from time to time when planning my menu for the week. I was recently thinking that I wanted to try making something new and different, so I used orange and fennel as my starting point and created this recipe, which I enjoyed a lot. Throwing everything in a pan and roasting it together makes this shrimp, orange, and fennel dish super easy to make and brings out the natural sweetness of the fennel and shrimp. I was originally planning to use orange zest in the butter and deglaze the pan with orange juice and white wine at the end — but at the last second, I decided to roast orange segments right along with the rest of it. I’d never heard of roasted oranges before and I wasn’t sure if it would work, but it did and they were amazing. The oranges stayed nice and juicy in the oven, but the flavor became concentrated and vibrant — they added a really nice burst of fresh flavor to the dish. Instead of deglazing the pan with wine like I had planned, I decided to finish the dish with a drizzle of aged balsamic vinegar to add a touch of acid and round out the flavors. The result was so much better than I had ever imagined it would be! It was light and fresh, with the perfect amount of sharp bite from the citrus and fennel. Soft, creamy polenta was the perfect accompaniment to this dish, adding a little bit of bulk to the meal and providing a nice textural contrast. I quickly cooked up some instant polenta while the rest of the meal was in the oven (I like to prepare my polenta with chicken stock instead of water to give it a little more flavor). This dish was great the first night and even better the next days at lunch — allowing the dish to rest gives the flavors a chance to meld and intensify. I ate my leftovers cold to prevent the shrimp for overcooking in the microwave, but you could also reheat it gently on the stovetop. 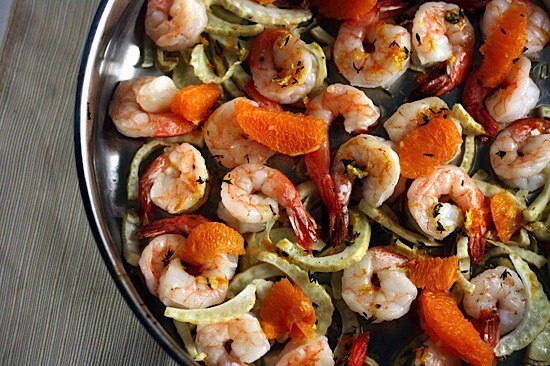 Arrange the shrimp, fennel, and orange segments in a single layer in an oven-safe pan or baking dish. Mix together the butter, garlic, thyme, and orange zest. Crumble into pieces and sprinkle over the mixture in the pan. Bake for 15 minutes, or until shrimp are pink and cooked through. Remove from oven and drizzle with balsamic vinegar. Sprinkle with sea salt. While the shrimp cooks, bring the broth to a boil. Whisk in the polenta and cook for 2 minutes or until the mixture has thickened into a soft, smooth porridge. Dish the polenta into serving bowls and spoon the shrimp mixture over the top. Garnish with fennel fronds if desired. 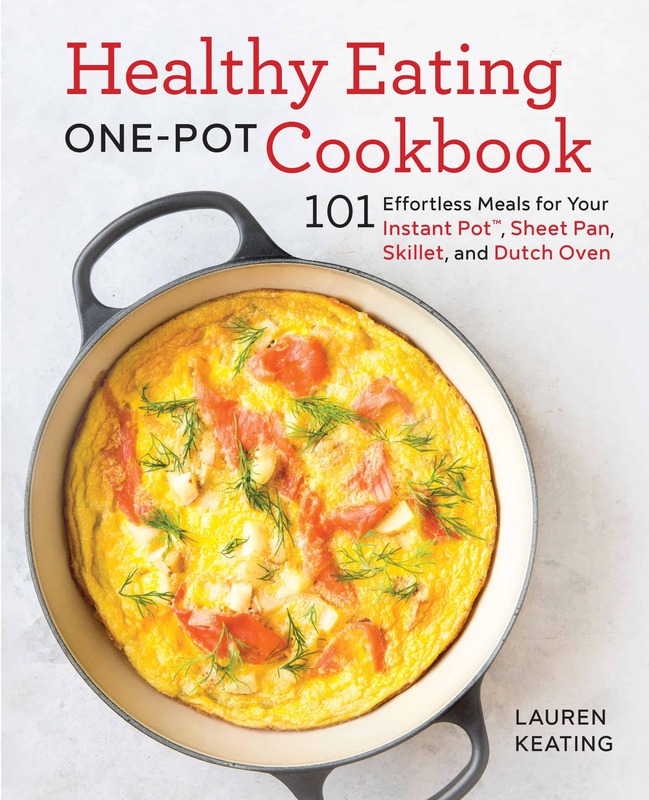 love polenta, this looks great. 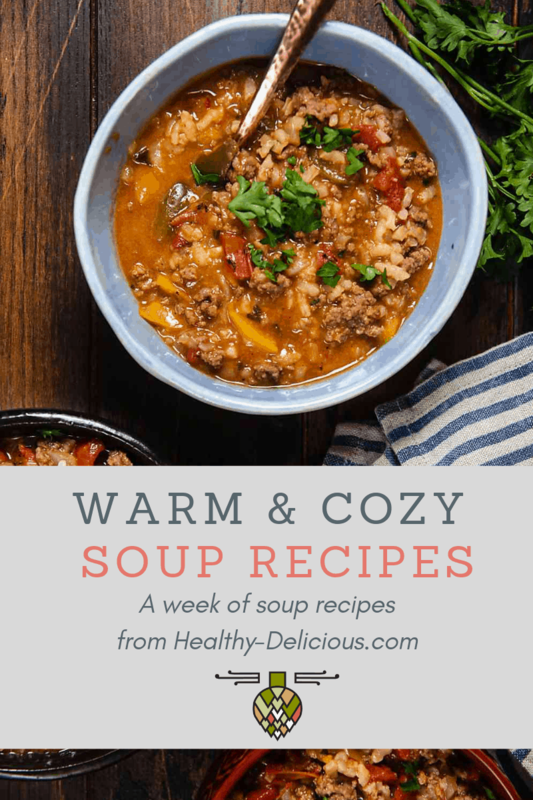 so many of your recipes look so amazing! i am so glad i discovered your blog! What a fabulous dish! 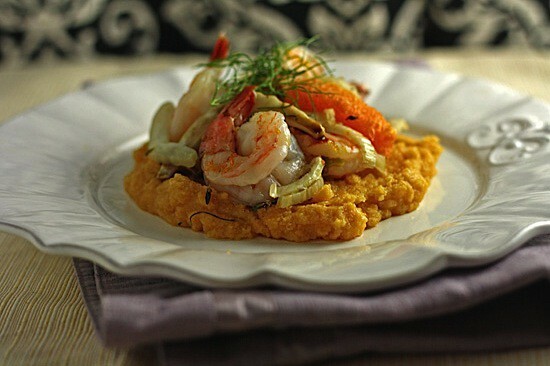 I love shrimp, love fennel and love polenta. I like how everything is roasted together too, so easy! That’s a great way of using polenta. Polenta is also one of my new favorite grains. It can be used in so many various ways! I tried raw fennel last year and reminded me of black licorice – which I hate. Does that flavor change when you cook it? This picture looks sooo good – I want to like fennel now! I like black licorice, so I might be a little biased, but I do think the flavor mellows out a lot when the fennel is cooked. Shawn hates black licorice and can’t stand the smell or taste of raw fennel but he enjoys it cooked. I think you should give it a try! I’ve done the salad thing too but you’re right, on a weeknight I want fast, happy one-dish meals. Love this and can’t wait to try it! Lauren this looks picture perfect – the shrimp looks unreal! Wow, what an incredible combination! I made a Michael Symon salad with fennel and oranges not so long ago but the fennel was raw and I just wasn’t enamored. I love that this has cooked fennel though. And polenta. Love? definitely. Polenta is something I have not cooked very much, but when I do I like to serve it with roasted vegetables as well. Your fennel and orange dish looks delicious, and light, despite being a really hearty-sized serving. Nice ideas, thanks!